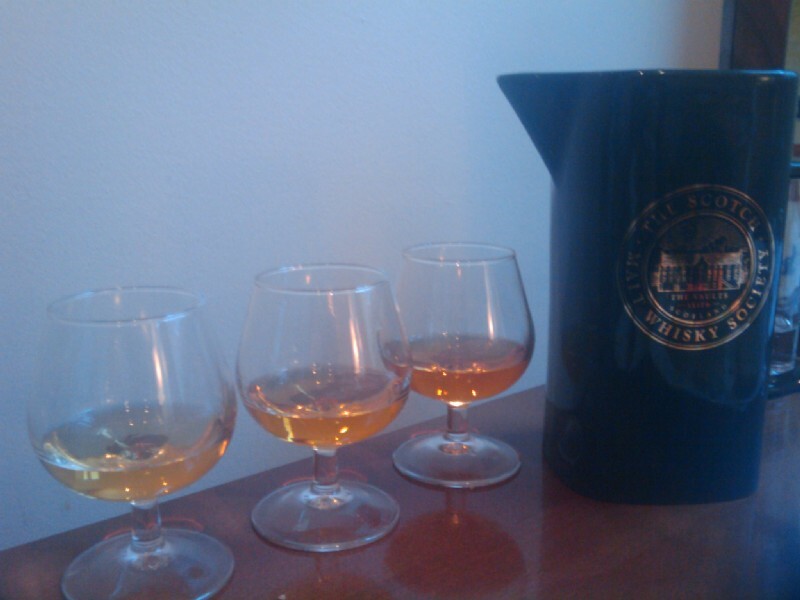 Trying the April bottling list at the whisky society. 18:22:06 Whisky and cheese make a very good combination - especially with oatcakes. 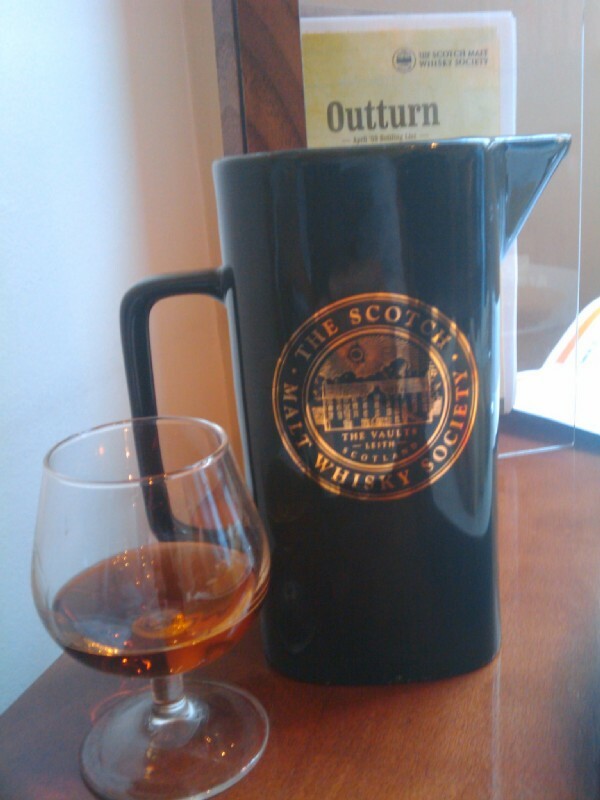 18:22:33 I believe this is a Glen Scotia here, and one of the society's water jugs. 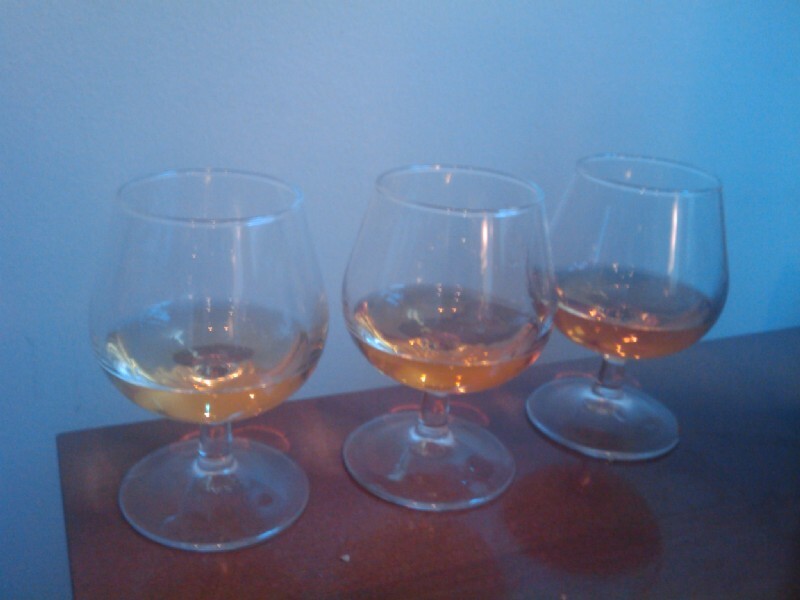 19:05:52 My three final whiskies - from left to right a Caol Ila, a Laphroaig and an Ardbeg. 19:06:45 ...and again with the water flask in shot.